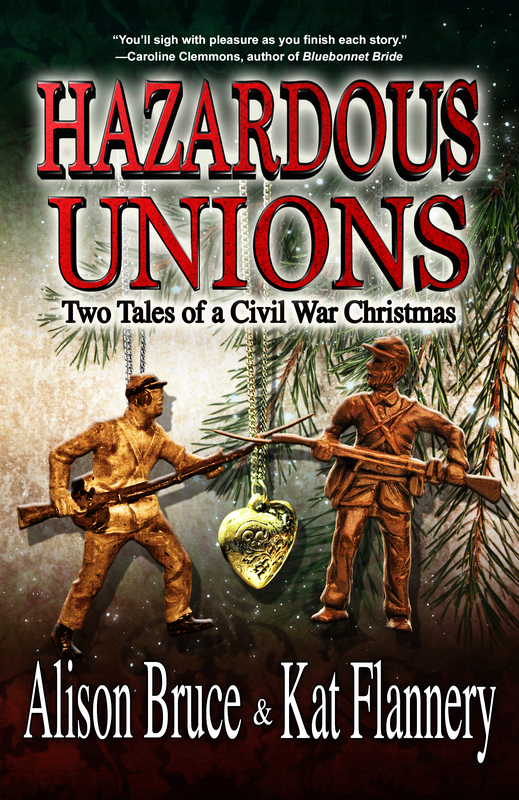 Friday’s Fantastic Find is the historical romance HAZARDOUS UNIONS by Alison Bruce and Kat Flannery. GET IT FOR .99 CENTS ON AMAZON!!! Alison Bruce has an honors degree in history and philosophy, which has nothing to do with any regular job she’s held since. A liberal arts education did prepare her to be a writer, however. She penned her first novel during lectures while pretending to take notes. Kat Flannery has loved writing ever since she was a girl. She is often seen jotting her ideas down in a little black book. When not writing or in school, she enjoys snuggling on her couch with a hot chocolate and a great book. Kat has had her writing published in numerous periodicals. She is now hard at work on the next novel. When not focusing on her creative passions, she is busy with her three boys and doting husband.